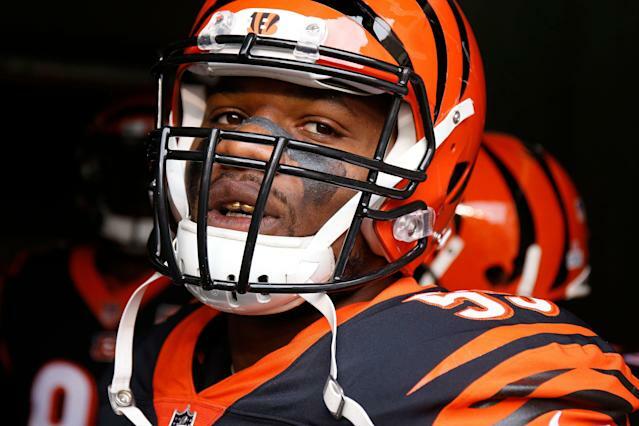 The Oakland Raiders announced Tuesday that they have signed former Cincinnati Bengals linebacker Vontaze Burfict. NFL Network reports that Burfict signed a one-year deal. The news comes a day after the Bengals released the 28-year-old seven-year veteran known more for his dirty play than his 2013 Pro Bowl nod. Burfict was a constant threat lurking in AFC North secondaries who piled up tackles, fines and suspensions while with the Bengals. According to Spotrac, Burfict was suspended three times for a total of 10 games with the Bengals, racking up $4.2 million in fines and lost game checks along the way. His infractions include a performance-enhancing drug violation, flipping the bird to Buffalo Bills fans, striking Green Bay Packers tight end Ryan Taylor in the groin and multiple illegal hits on former Pittsburgh Steelers rival Antonio Brown. One of those hits was a brutal helmet-to-helmet blow late in a 2016 playoff game that ended up costing Burfict three games and more than $500,000. This, of course, will provide a personnel challenge in Oakland as Brown and Burfict will now be teammates. The 2016 hit wasn’t the only time Burfict went after Brown’s head. He leaned an elbow into Brown’s helmet as Brown was being tackled during a Steelers-Bengals matchup last season. That hit in addition to another against Steelers running back James Conner cost Burfict a $112,000 fine. So, yeah. There’s going to be some needed reconciliation if Brown and Burfict will be sharing a practice field. Burfict addressed the Brown situation when talking with reporters Tuesday night. “We’re on the same team,” Burfict said. “It’s one goal. It’s all positive, man. He’s a great player. He’s gonna be in the Hall of Fame one day. Burfict also insisted that he’s not a dirty player.